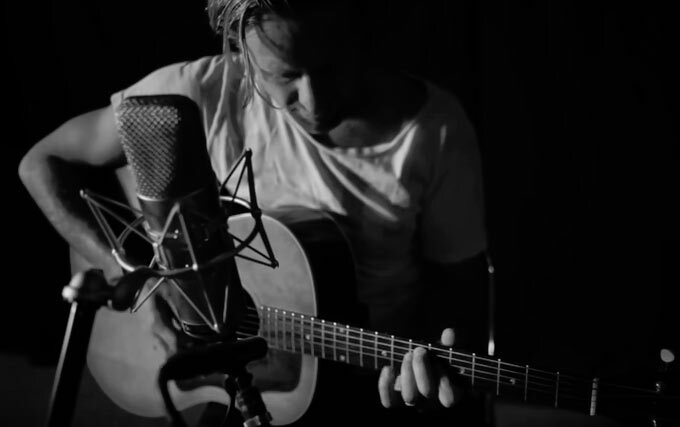 Switchfoot frontman Jon Foreman is focusing on his solo projects this year while the band takes a break from touring, and his latest announcement treats listeners to live, one mic, one-take versions of his songs. "I'm so pumped for the next few months!" announced Foreman in his latest email to fans. "The film, 25 IN 24 is finally being released! The tour is gonna be such a blast. We'll watch the movie, and sing some songs together, I can't wait!" Foreman continues, "A while back, my friend Robbie had a vision to record these songs acoustic, one mic, one take all the way through. With the movie coming out soon, what better time than now to share them! "Click [here] to check out 'The Patron Saint of Rock & Roll,' the first in a series of five! Hope you enjoy!" For more info on Jon Foreman, visit the JFH Artists Database.